Earlier this month, I posted “The Art of Constructive Controversy on Your Blog” here on the NMX blog. Controversial blog posts are a great way to boost your traffic numbers, but at the same time, they can invite not-so-good attention to your blog as well. Today, I wanted to expend on the post I wrote by giving you links to other brilliant bloggers who have also published advice on how to deal with controversial topics on your blog. Writing a controversial blog post can be like opening a can of worms. It’s great to post your opinion on a topic, but it can also bring the wrath of trolls upon you. You also risk alienating members of your community or even writing a post you later regret. How can you avoid this? Rachel Held Evans has a ton of great tips you should check out. After reading the entire post, you can also find Rachel on Twitter at @rachelheldevans. Did I miss your post or a post by someone you know about controversial posts? Unintentional! Help me out by leaving a comment below with the link. @anaralvarado Thanks, Ana! How’s the new job going??? @wordsdonewrite Will start blogging soon so this is good to keep in mind. Great, very exciting! It’s never dull. How’s everything on ur end? @anaralvarado If you’re going to start blogging, you should register for @blogworldexpo. Early bird rates are in effect thru Tuesday. @wordsdonewrite Thanks Amber! 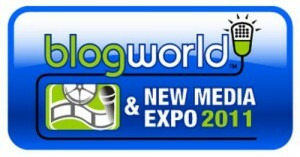 Has attending @blogworldexpo been helpful for you in the past? @anaralvarado I attended for the 1st time last year & it was great. Content & connections galore! I started working w/them a few months ago. @wordsdonewrite Ah yes, I remember u tweeting abt it. I won’t know if I’ll be able 2 attend until later in the yr but I’ll put it in my cal! @anaralvarado Prices go up little by little over the next several months. Right now it’s super cheap. Hope to see you there! @wordsdonewrite hey did you see my reply to your DM? just wanted to make sure you got it. Happy Sunday! @danielnewmanUV Thank you! I just replied. @theintelligiser Wish all the tips were on that page. Who has the time/energy to click on all those links? @allison_boyer @rachelheldevans @EugeneFarber @dmscott What an honor! Thank you so much for adding me to the list! What a great Category Name: Brilliant Bloggers. I love it. And ‘Even More Brilliant Advice’ – a website with humor – just my cup of tea. As luck would have it :), one of my most popular articles is How to Write Brilliant Comments & Increase Site Traffic! I like to add a dash of humor into my information based articles when appropriate. It’s not often done in the blogging world, but it makes my blog different, and it’s more fun for me. It seems to be quite popular too – at least no death threats as yet.